Sidco Filter Corporation is a manufacturer of industrial filter element replacements and industrial filter housings for air and gas applications, with a business philosophy founded on excellent customer service. We have invested years into building our extensive cross-reference database, which gives us the ability to interchange over 100 common brands with more than 10,000 OEM competitor part numbers. And, because we’re dedicated to our customers, we specialize in custom builds to meet your specifications! Founded in 1997, Sidco Filter Corporation moved to our current location in 2002 and has been steadily growing ever since. Our products are manufactured on site in our comprehensive facility, which is located just north of New York’s Finger Lakes region. Our filter element replacements and filter housings are constructed in our facility, using the highest quality, domestically sourced materials. Sidco filter elements and housings are designed to meet or exceed OEM standards. Sidco filter elements and filter housings are proudly made in the USA. Our customers can attest to our superior quality products and outstanding customer service. Our knowledgeable staff combines decades of manufacturing, engineering, and customer service experience in the filter industry to provide our customers with the quality of service you deserve. Speedy response times, superior quality manufacturing, and excellent customer service reflects our commitment to providing you with outstanding service. We are always available by phone, fax, or email. Each quote request you submit is quickly handled by a Sidco team member. Orders are confirmed within 24 hours, and shipments are on time with an automatic end of day shipment acknowledgment and tracking information sent directly to you. 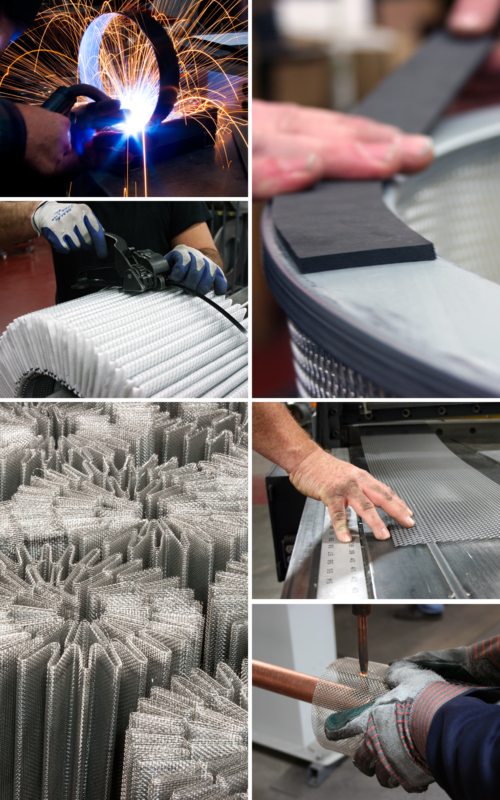 Whether you are simply cross-referencing an existing filter or need help designing a custom filter element, we’re happy to help, because Sidco Filter Corporation is your filter manufacturer!